Full-service company specializing in commercial and industrial wiring, instrumentation and controls. Using state-of-the-art technologies, and uncompromising installation techniques, the certified professionals at this Electrical company provide a vast array of energy and cost-efficient electrical services including Industrial, High-Rise (office and residential), Data and Communications, Commercial, Recreational, and Residential (single and multi-family) applications. Approximately 90% of the company revenue is generated from commercial customers with the remaining 10% from residential customers. 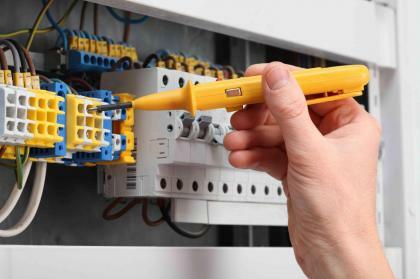 Established in 1975, the company employ 30-35 electricians and 8 office staff. A very strong market presence with solid reputation in the industry and ample opportunities for further expansion. Excellent employee base and management in place. Sales exceeded $6.5MM in 2011. The owner is at retirement age and would look to find a good buyer for his business. The company has a strong management team and a proper transition of up to a year will be provided. Serious inquiries only please, all buyers must demonstrate relevant experience and proof of financial ability to purchase prior to release of information.